Phi Beta Kappa Exercises, at 11, with poet Robyn Schiff and orator Stephen Greenblatt, Cogan University Professor and Shakespeare scholar, Sanders Theatre. Baccalaureate Service for the Class of 2016, at 2, Memorial Church, followed by class photo, Widener steps. Class of 2016 Family Reception, at 5. Tickets required. Science Center plaza. ROTC Commissioning Ceremony, at 11:30, with President Faust and a guest speaker. Tercentenary Theatre. Harvard Kennedy School Commencement Address, at 2, by former U.S. secretary of state Madeleine Albright, LL.D. ’97. JFK Park. Senior Class Day Picnic, at noon.Tickets required. The Old Yard. 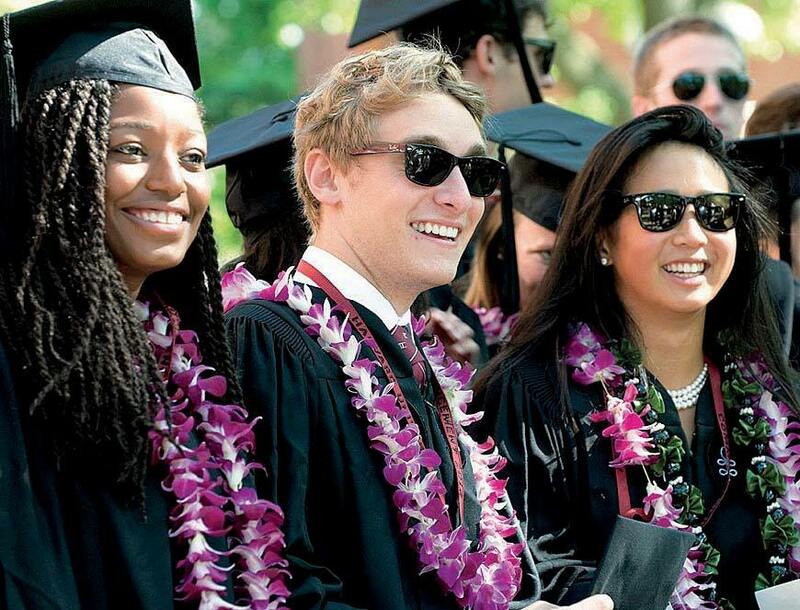 Senior Class Day Exercises, at 2, with the Harvard and Ivy Orations, remarks by incoming Harvard Alumni Association president Martin J. Grasso Jr. ’78, and actress, writer, and producer Rashida Jones ’97. Tickets required. Tercentenary Theatre. Law School Class Day, 2:30, with featured speaker Sarah Jessica Parker, actor, producer, businesswoman, and philanthropist. Holmes Field. Business School Class Day Ceremony, 2:30, with Thomas J. Tierney, M.B.A. ’80, chairman and co-founder of The Bridgespan Group. Baker Lawn. Harvard T.H. Chan School of Public Health Award Presentation and Celebration, 4-7. Kresge Courtyard. Divinity School Multireligious Commencement Service, at 4. Memorial Church. Graduate School of Arts and Sciences Dudley House Faculty Dean’s Reception, 4-6. Faculty Deans’ Receptions for seniors and guests, at 5. The Undergraduate Houses. The 365th Commencement Exercises, 9:45 (concluding at 11:45). Tickets required. Tercentenary Theatre. The Tree Spread, for the College classes through 1965, 11:30. Tickets required. Holden Quadrangle. The Annual Meeting of the Harvard Alumni Association (HAA), 2:30, includes remarks by HAA president Paul L. Choi ’86, J.D. ’89, President Faust, and Commencement speaker Steven Spielberg; Overseer and HAA director election results; and Harvard Medal presentations. Tercentenary Theatre. Harvard T.H. Chan School of Public Health Diploma Ceremony at 2, with guest speaker Donna Shalala, president of the Clinton Foundation, and former U.S. secretary for health and human services and president of the University of Miami. Kresge Courtyard. Medical and Dental Schools Class Day Ceremony. Ticketed luncheon at noon, followed by a speech, at 2, by Jeffrey S. Flier, retiring dean of the faculty of medicine and Walker professor of medicine. Radcliffe Day, celebrating the institution’s past, present, and future, includes a morning panel discussion followed by a luncheon honoring the 2016 Radcliffe Medal recipient, Janet L. Yellen, chair of the board of governors of the Federal Reserve System. The discussion, “Building an Economy for Prosperity and Equality” (10:30 a.m.-noon), is moderated by Cecelia Rouse ’86, Ph.D. ’92, dean, Katzman and Ernst professor in the economics of education, and professor of economics and public affairs at Princeton’s Woodrow Wilson School of Public and International Affairs. Panelists include: David Autor, Ph.D. ’99, professor of economics at MIT; Douglas W. Elmendorf, dean and Price professor of public policy at the Kennedy School; Claudia Goldin, Lee professor of economics and director of the Development of the American Economy Program at the National Bureau of Economic Research; and Louise Sheiner ’82, Ph.D. ’93, senior fellow in economic studies and policy director for the Hutchins Center on Fiscal and Monetary Policy at the Brookings Institution. The luncheon, 12:30-2, will feature remarks by former chairman of the Federal Reserve Ben S. Bernanke ’75, now a distinguished fellow in residence in the economic studies program at the Brookings Institution; economics professor Gregory Mankiw will then talk with Yellen about her life and career. Tickets are required to attend the day’s events in person, and have already been distributed. The events will be webcast live at www.radcliffe.harvard.edu . For questions, contact events@radcliffe.harvard.edu . For updates on Commencement week and related activities, visit alumni.harvard.edu/annualmeeting  or commencement.harvard.edu/morning-exercises .